Sunny presents the Hong Kong Tower Slot. Few skylines are as iconic as that of Hong Kong. The skyscrapers that stretch above the city, testaments to the business and commerce that make Hong Kong one of the most special and celebrated cities in the world. 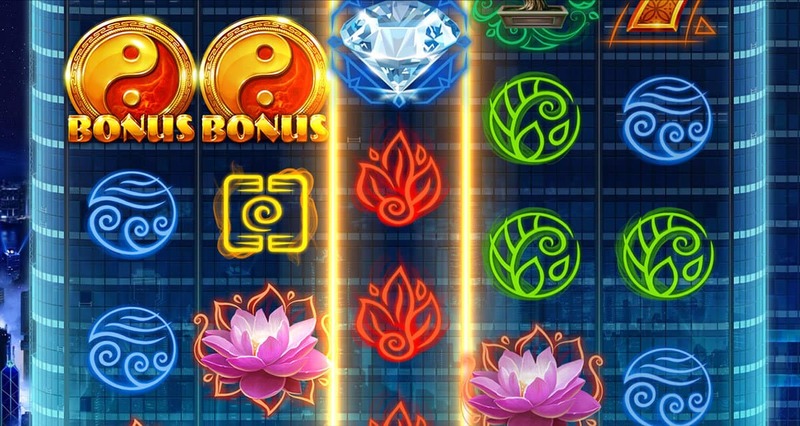 The intro to this slot sees us soar up the side of the Hong Kong Tower of the game’s title, zooming ever upwards. At the summit of this tower lie three bonus wheels, all decorated with multipliers and coin wins and eager to bestow upon us the luck and riches of the Far East. ELK Studios is famous for its immersive game spaces, with extra large game symbols floating against the backdrop. The scenery in question is, of course, the side of the tower which we are seeking to climb. 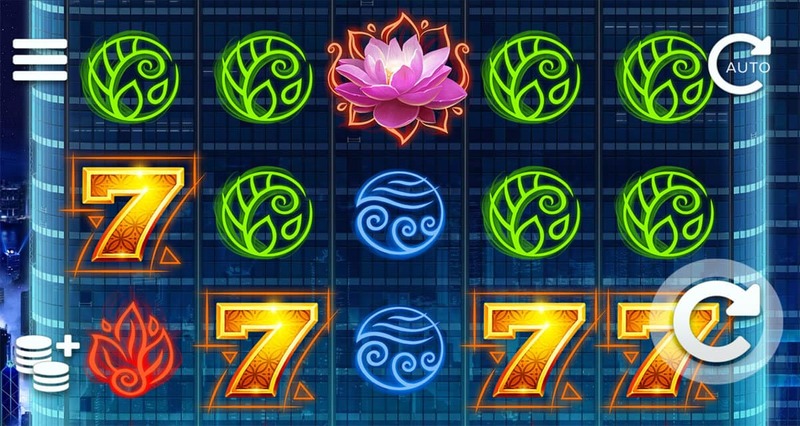 Our game symbols are a mix of neon odes to the four elements - earth, wind, fire and water - while our high-payers take the shape of a Bonsai Tree, a Lotus Flower, a Diamond and a Golden 7. As we spin the reels the symbols seem to be shifting along the side of the tower at breakneck pace, like some sort of futuristic Hong Kong light show. When we trigger the bonus round and reach our goal of the top of the tower we are treated to the real big show - a show that can see us return to the ground with our heads well and truly still in the clouds. 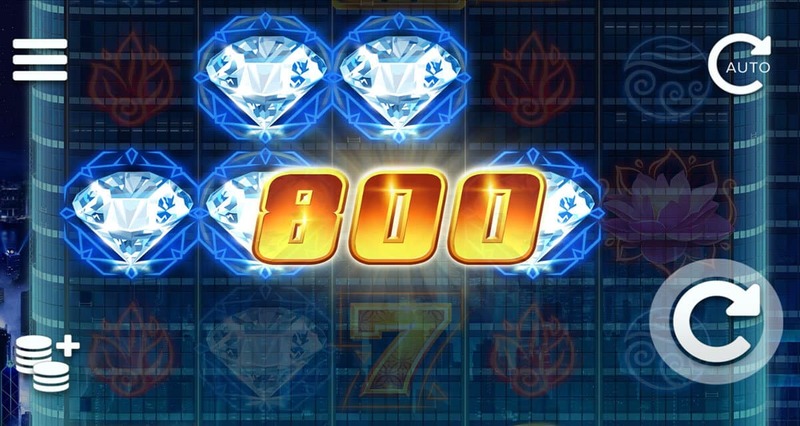 You might have 99 problems, but in the Hong Kong Tower slot a payline ain’t one. A win across these paylines sends bolts of energy shooting across the reels, delivering our wins in electric style. 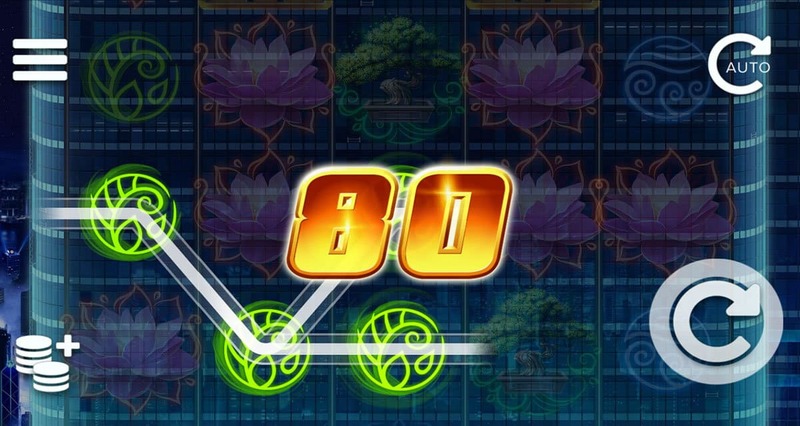 To help us on our way, the Game Logo Mystery Symbols spin to reveal one of the other game symbols when they potentially complete winning combos. 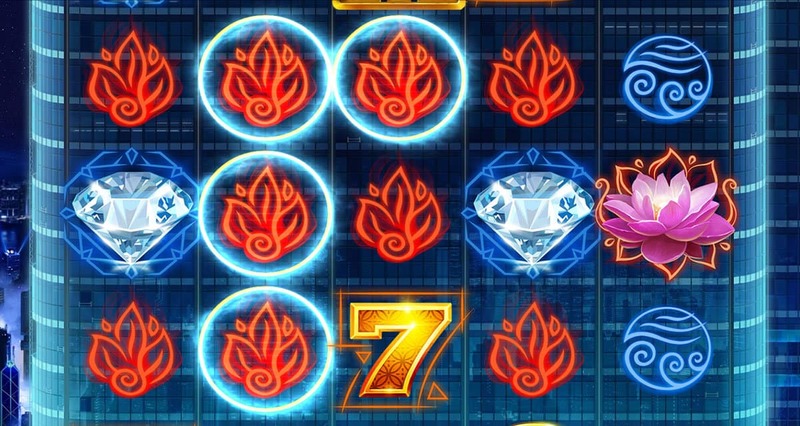 These Mystery Symbols replace regular Wild symbols, but it is the Bonus Scatters that launch the Wheels of the Sky bonus game that we are really looking to land. The wheels atop this tower are glimmering wheels of red, blue and green, each decorated with scores of multipliers and coin wins. We spin the reel, looking to collect wins and to progress to the next wheel. With each wheel comes bigger wins, and even more prizes to take down to the ground. 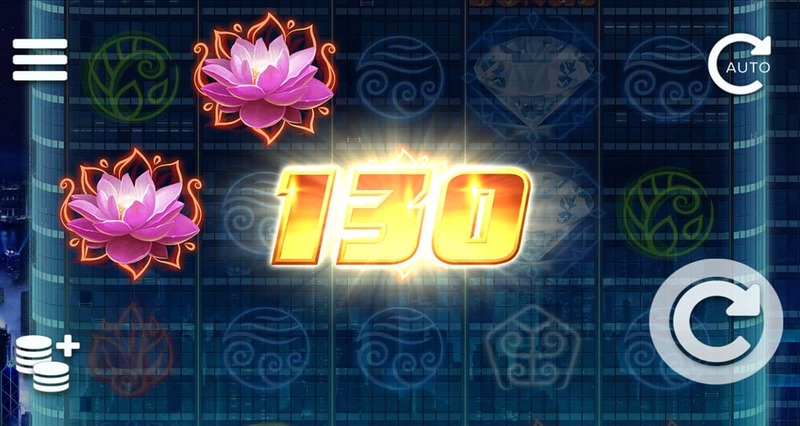 The Mystery Symbol, rather than a dedicated Wild, can prove as frustrating as they can be rewarding. But, that said, the graphics, trademark immersive gameplay and Wheels of the Sky bonus feature make Hong Kong Tower a winning release from ELK Studios. When we trigger the bonus game and reach our goal on top of this tower, we won’t ever want to come down. But when we do, it will have been one hell of a journey.